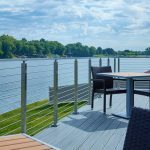 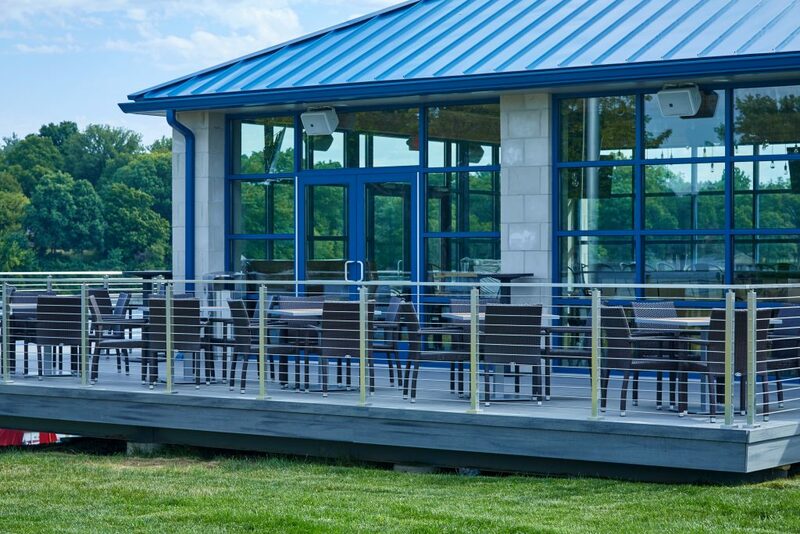 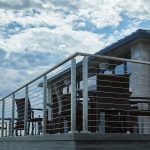 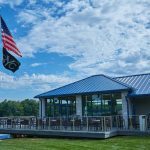 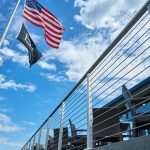 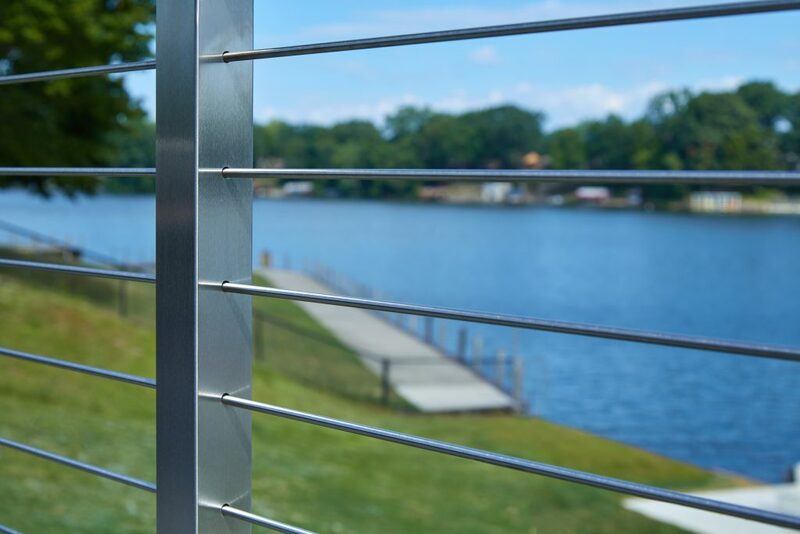 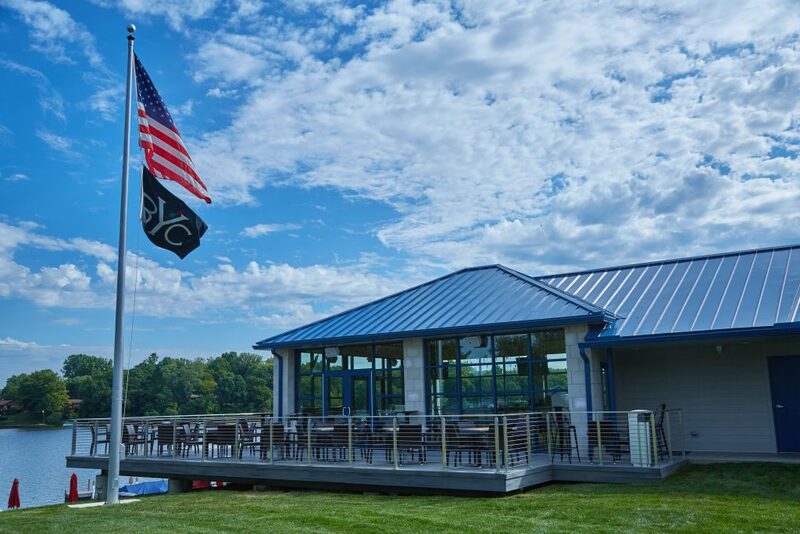 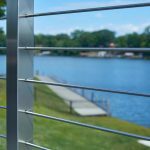 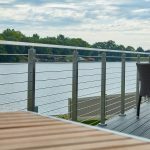 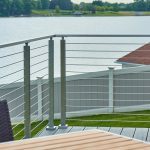 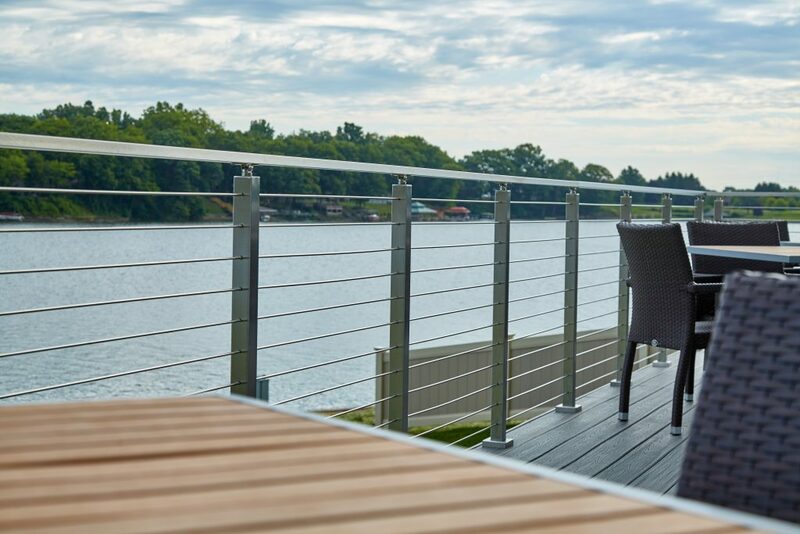 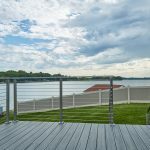 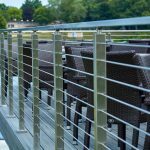 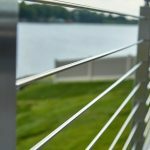 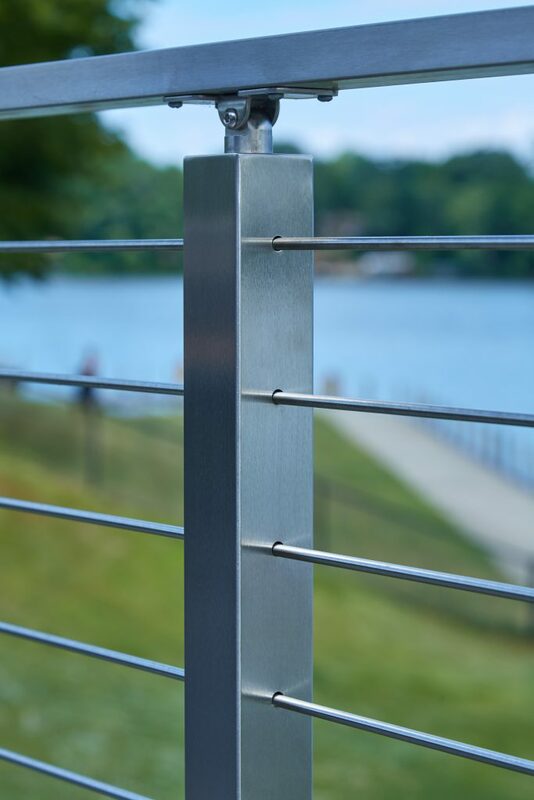 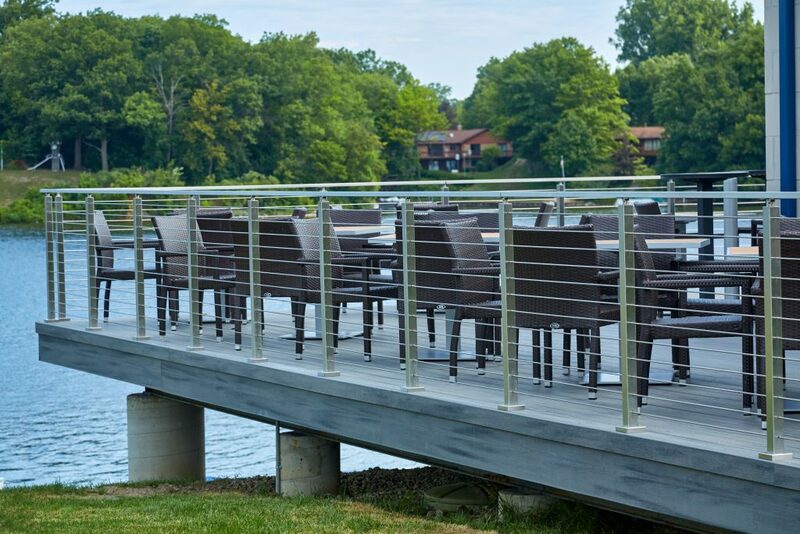 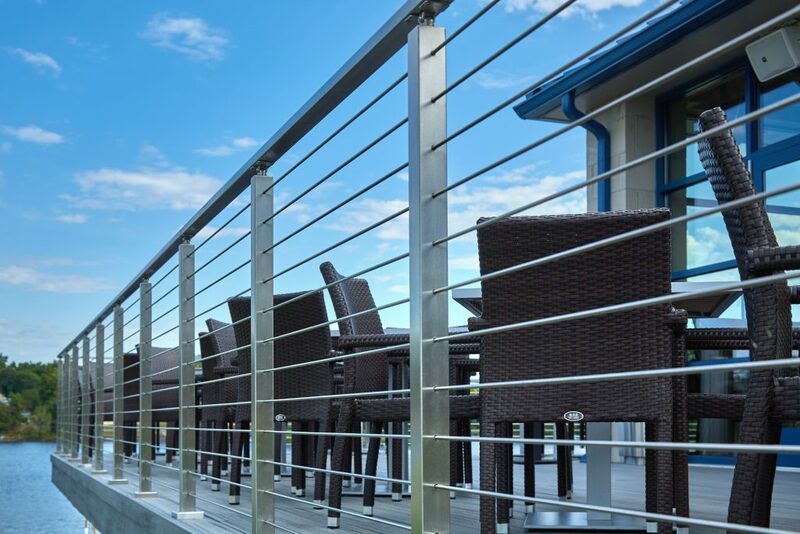 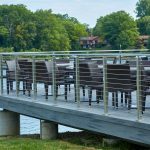 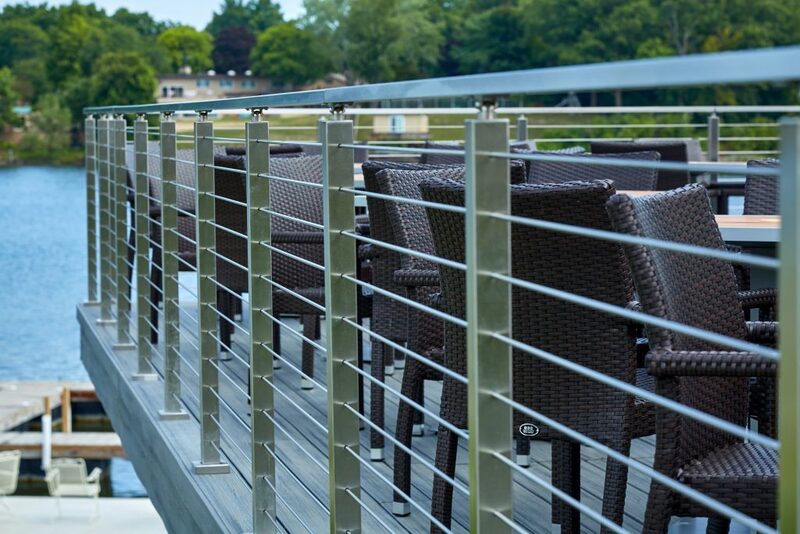 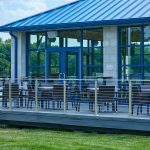 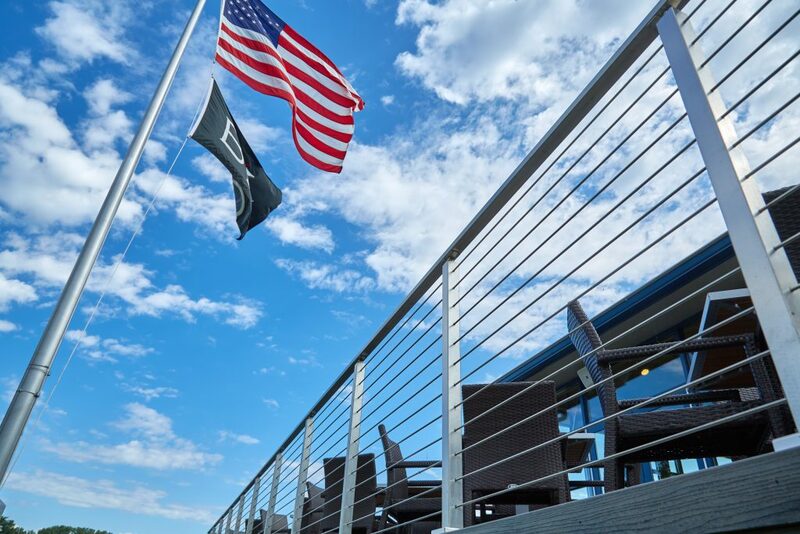 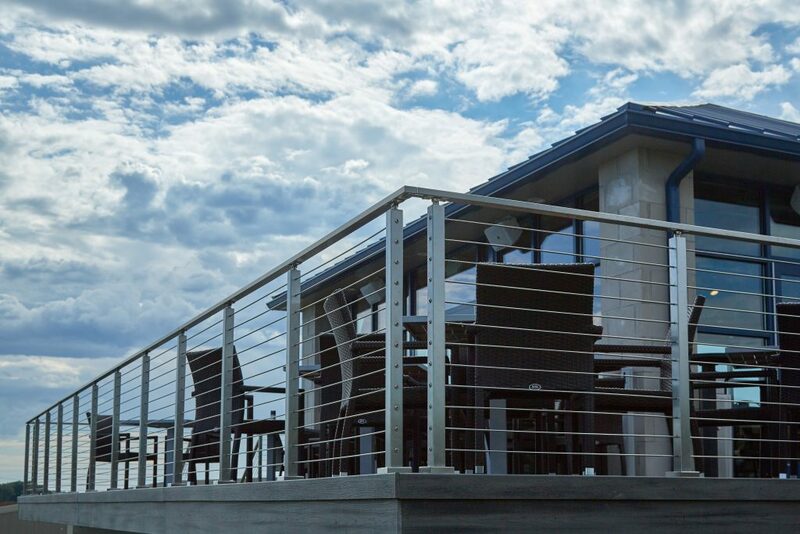 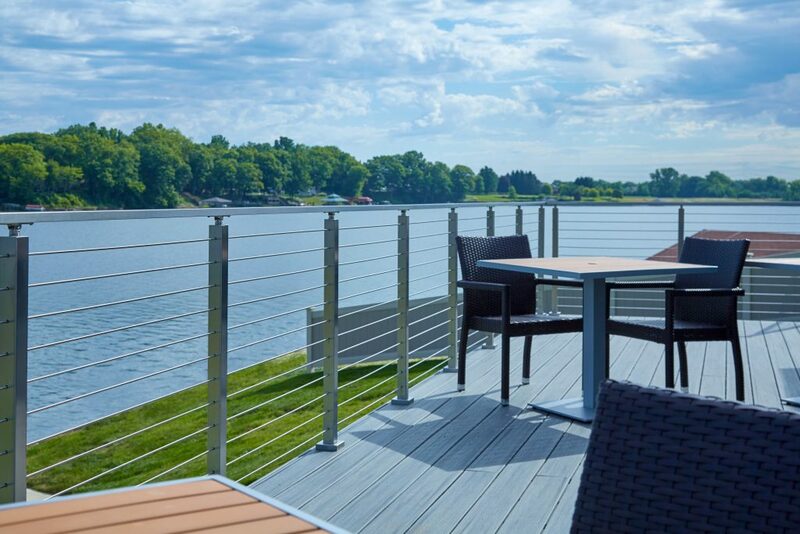 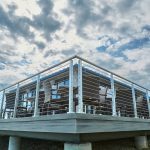 This gorgeous system was installed at a yacht club in Bellevue, Michigan, and shows off everything we love about rod railing. 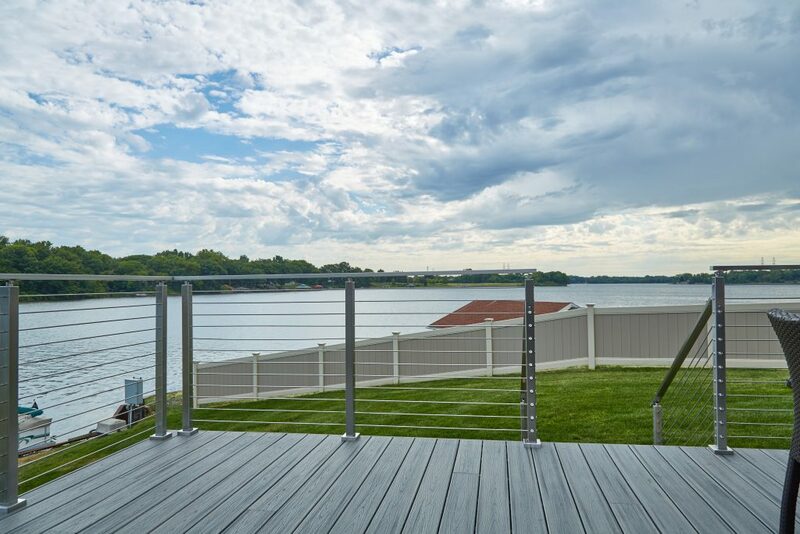 Its fluid, parallel lines blend with the view of the lake in the background while also complementing the gray tones of the deck. 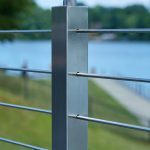 A sleek stainless steel handrail tops off the system — practically shining against the backdrop of lake and sky. 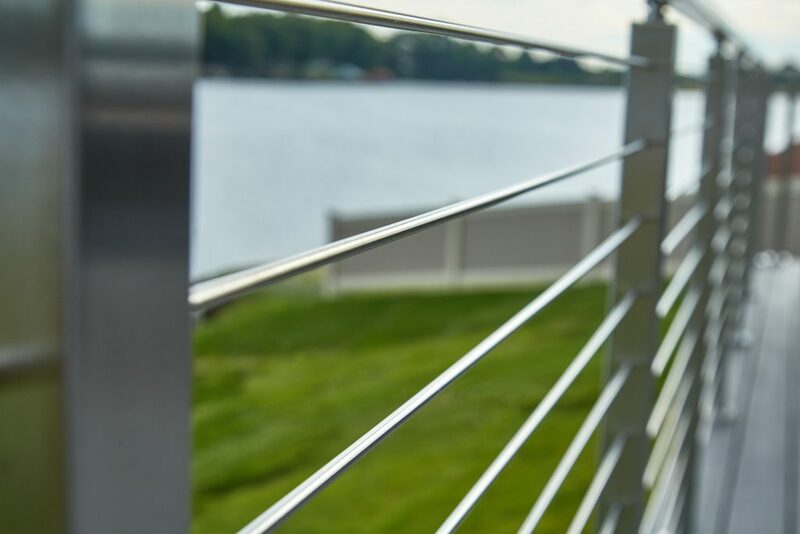 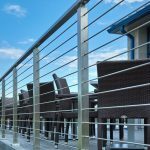 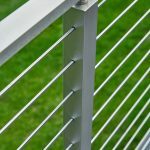 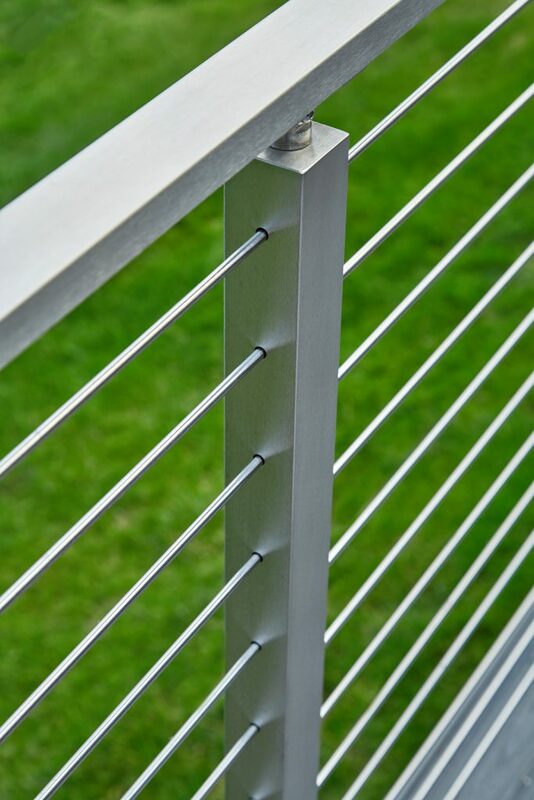 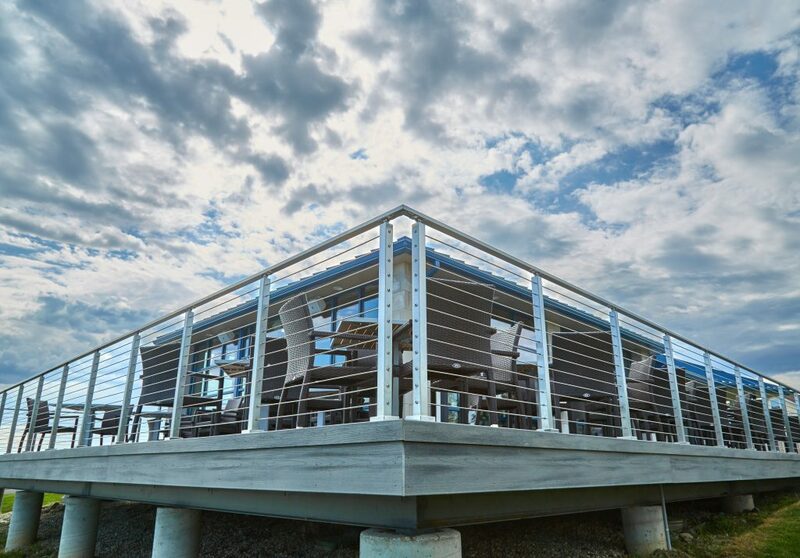 This stainless steel rod railing system is simple, modern, and of the highest quality.